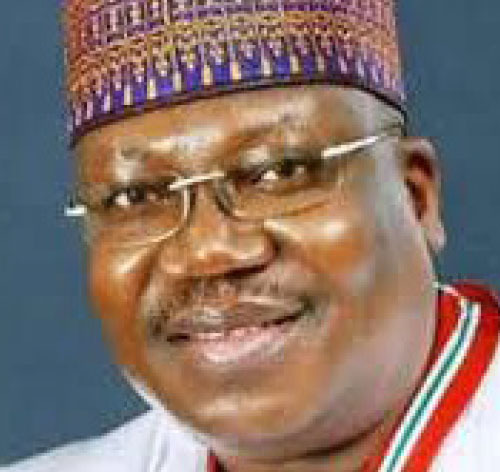 Senator Ahmad Lawan is one of the longest serving members of the National Assembly. He is the current Leader of the Senate and hails from Yobe State. In 2015, he was in the race for the position of the President of the Senate. However, a last minute realignment denied him the position. Today, he is one of the front runners in the race to succeed Bukola Saraki as President of the Senate. In an interactive session with the Senate Press Corps, the lawmaker spoke on a number of issues. He said the ruling All Progressives Congress (APC) will not repeat the mistakes of 2015 which produced Saraki. He spoke on other issues. With APC in charge of the 9th Assembly, what do we expect? This interaction is important. After the elections, the APC emerged as the party with the majority. We thank God. APC will be in the majority from 2019-2023. In fact, we have made more progress than we did in 2015. We have about 65-66 senators-elect. Just like in 2015 when we sought to lead the Senate, we have come to the conclusion that we have something to offer by leading the Senate and the entire National Assembly. We are not under any illusions. We know that this requires a lot in terms of momentum and the work we have to do to make Nigeria better through legislative interventions and by also working with other arms of the government. You have known us for a long time. You know our strengths and weaknesses. We need to project what we want to offer. We need to tell Nigerians what we can do. We need everyone in this journey of four years we will embark on soon. I am asking for cooperation, support and understanding of everyone. We want to work for everyone to ensure that Nigeria is better and ensure that we receive the fairest deal from government. By the grace of God, we will make serious positive changes. Nigerians voted for change. They have renewed their commitment to APC this year. It means that Nigerians have faith in us. I thank Nigerians for keeping faith with us in this dispensation. In 2015, the PDP played a fast one and in the end, it decided who emerged as Senate President. Has the APC put its house in order to guide against this in the emergence of the presiding officers of the 9th National Assembly? What we are doing is to reach out to our colleagues, either elected or outgoing. We are talking to them about our mission and why we are campaigning to lead the National Assembly. We are telling them why we need to make the Senate more productive and more focused. APC senators are so critical. We are reaching out to senators from other political parties. We are going to be talking about it much later. Let me say that we are senators who believe in party supremacy. We believe in the leadership of our party. The leadership we are seeking is that of the Senate and the National Assembly. It’s important for us to talk to our colleagues and tell them why we are campaigning. We are not taking anyone for granted. The crop of senators-elect that we have is much focused. We are not thinking that we will have crisis at all. APC must have learnt its lessons. The leadership of the party will handle it differently. I am sure that our leaders will manage the huge success of APC. The party will find us very compliant and supportive. In specific terms, what should Nigerians expect from you if you emerge as Senate President? This is the most basic issue. Let me say that I believe in what my party does. President Muhammadu Buhari campaigned on security, anti-corruption and the economy. We have remained consistent as a party and as an administration. Our main task will be to support the president and the party to implement the campaign promises. We want an economy that will ensure an all inclusive growth. Our main constituency as a progressive party is the ordinary people. It doesn’t mean that the elites are not with us. But those who worked for our success are those ordinary people. It is crucial for our administration to come up with programmes that will make life better for the masses. We will also support those in the private sector so they can create jobs. We have worked hard as a government in the last four years. We want to work harder going forward so that our youths can get jobs that will grow the economy. We have social investment programmes. We will have some reforms in that sector so it can deliver well. Agriculture is one area we have worked on. Today, Nigeria doesn’t import rice anymore. What that means it that, the billions of dollars spent on importation are now within this country. In every part of the country, we produce so much rice. That is wealth creation. Even though we have challenges in that area, we have done well. We have areas of concerns in the security sector. We need to support the executive to always ensure that we improve on it. When we came to government in 2015, so many parts of the country were under the control of Boko Haram insurgents. We want to see a situation where the security architecture of the country can be reformed. I headed the security architecture ad hoc committee in the Senate. We submitted our report. The report recommended reforms in our armed forces. It is not about giving money. We must have a structure that will utilise monies released prudently. Where the executive feels they need intervention, we will legislate to support their efforts. It is our mission to ensure that this administration continues its fight against corruption. Most of the things we are suffering in this country, it is because people have stolen public funds. When you are able to curtail the excesses in that regard, we will move forward. We should be proactive. We will legislate to ensure that it will be difficult for people to steal in the public and private sectors. As a country, why can’t we have an anti-corruption court? We need to fast track legal processes and ensure that those found guilty of any corruption charges are jailed instead of waiting for up to 10 years. This gives the people the confidence to steal since they that our anti-corruption laws are weak. These are areas we will focus on. We will focus on our education. We will review it to conform to the current day reality. We will ensure that our graduates get a good deal. We will look at law reforms. Those that require total overhaul will get that. To achieve these objectives, you need the support of your colleagues. How are you working on that? That is the strength or success for any parliament to deliver. We have to have a bipartisan chamber. We will disagree from time to time because of some issues. But because we are senators of the Federal Republic of Nigeria, we will remain united. I was in the opposition for 16 years before we became part of the party in government. Even as an opposition, we knew when to oppose and support the government. Take for instance the security. Is there any senator who will oppose the improvement on security? We will work to achieve the desired unity. There will be equity and fairness in the chamber. Once we unite around national interest, we will contribute meaningfully to governance. If your party zones the Senate Presidency to another geopolitical zone, will you still contest? Secondly, there are other senators contesting for the same position. Have you reached out to them to avoid what happened in 2015? Am I not a party man? I am a loyal party man. I will respect the decision of my party. We need the support of everyone. We want to work with the executive in such a manner that we can deliver good governance; we need to work well among ourselves. We need to have a relationship with the executive that is based on consultation. I always say that the constitution of the Federal Republic of Nigeria provides for separation of powers, but it doesn’t amount to complete independence of the various arms. The legislature needs to work with the executive in many ways. It doesn’t take away the issue of oversight. We will do something to support the executive. By the way, who said we will never disagree with the executive? By design, we are meant to disagree. But when we disagree, we should sit down and look at issue and resolve it without necessarily taking it to the market place. This is the first time I have been in a party running the government. I was in the ANPP throughout till we came to power. I am a believer in the separation of powers but it is not an infinite elasticity, we must not allow Nigerians to give up hope on our democracy. I believe in separation of powers. It requires interdependence of the various arms of government. That does not mean we will not disagree. But when we do that, we won’t go to the market square to resolve our differences. This is the way to go. Unnecessary and avoidable fight with the executive that will make Nigerians lose hope in our democracy must be avoided. We must respect party supremacy. The choice of Deputy President of the Senate also influences who emerges the President of the Senate. Have you thought about that? What are you doing about it? With regards to the Deputy President of the Senate, for me this is not an issue. Our party and leaders of the party will determine the zone that will produce the principal officers. We will not trade any position with any other party other than the APC. We are very loyal party members. APC will ensure right decisions will are taken in the interest of Nigerians. We have been talking to the opposition senators. We need their support and cooperation. Some of your colleagues believe you hold extreme views about issues. What is your take on that? Extreme views, maybe that too is extreme. I normally take decisions as an individual not as a leader, after exhaustive research and consultations. My upbringing teaches me to stick to my decisions once I take the right decision. And I take full responsibility for my actions and bear full consequences for my decision once taken. In 2010, my political mentor, late Usman Al-Bishir of blessed memory defected to the PDP and he was given the governorship ticket. I was asked to come over too and that my ticket was secured. But I did not go because I don’t believe in the PDP. If that’s extreme, so be it, but I don’t think it is. I am consistent. If we agree on something, I stand by it. There is no better person to tell you who I am than me.